You may think getting an insane miles per gallon is just a dream, think again. While getting 2500 MPG in a big SUV may not be possible getting 2500+ mpg in a prototype car is possible. 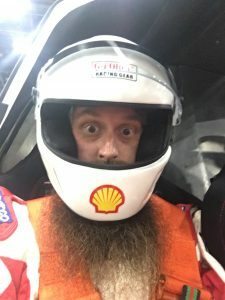 I had the chance to attend the Shell Eco-Marathon Americas and see this first hand. The Eco-Marathon is an event all around innovation. Students from 8 different countries compete to build the most fuel efficient vehicle they can. It was pretty amazing to see what these high school and college teams could come up with. I think about 17 year old Charles, and there is no way I could have been doing this stuff at 17. Check out the Shell Eco-marathon Americas website to learn more about the program. Trouble viewing? Watch “Could YOU Build a 2500MPG Car?” on YouTube.